Tired of the same old games for the elderly that everyone else is playing? 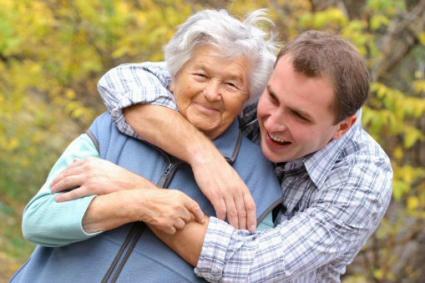 LoveToKnow digs up some fresh and interesting ideas for senior citizens who are looking for some easy recreations that will bring hours of enjoyment and fun. One to three mafia members. This will vary based on how many people are playing. 12 people will warrant one mafia member. 15 people will warrant two mafia members. 20 or more will warrant three mafia members. Townspeople. You will create enough townspeople cards to make sure every person playing has a card with a role. Ask everyone to go to sleep (close their eyes). Ask only the mafia to wake up. The mafia will point at who they are going to "off" during the night. Tell the mafia to go to sleep and ask the doctor to wake up. The doctor chooses one person to "heal". He or she may choose self. If the doctor chooses the person who was killed, that person is not dead. Put doctor to sleep and ask sheriff(s) to arise. They will point at who they think committed the crime. Wake everyone up and tell the story of what happened. When you tell about who died during the night, try to come up with zany stories, such as being run off by a street sweeper or "accidentally" putting on concrete shoes. You then let the townspeople vote on whether they think the person the police have accused is guilty or not. Each round, those who were killed off (unless healed) and those who were found guilty are out of the game. Play until only one player is left or the mafia is discovered. Sardines - In this variation, one person hides while everyone else hunts for him or her. As people find the person hiding, they hide with them. This continues until the last person finds the entire group. The person who finds the group last is the initial hider the next round. When someone says, "Sardines", the hiders have to answer back, but can do so in a light whisper. You can also play this game in the dark, but make sure you know the area well and be careful not to get hurt. Objects - Almost like a scavenger hunt, instead of hiding a person, you hide an object. The first person to find it wins. Combine with wrapped prizes for a fun party or holiday game. The person who finds the wrapped prize gets to keep it! Kick the Can - Remember this game from your childhood? It can still be a lot of fun into your senior years, you just may need to slow things down a bit. When the "it" person discovers someone hiding, they both move toward the can. The first one to kick it wins. If "it" kicks it first, then the person who was found is now "it". It might be best to set up rules beforehand of no running, only a fast walk and so on. Or even change it up and make it that the person who kicks the can the farthest is the winner. Just because you're no longer a youth is no reason you can't enjoy some of the same games. Be open to learning new things to keep life interesting. Ask the younger generation to share their favorite card games and then return the favor and share the games you love as well. Know of any other fun games? Post your suggestions in the "Comments" section below. .